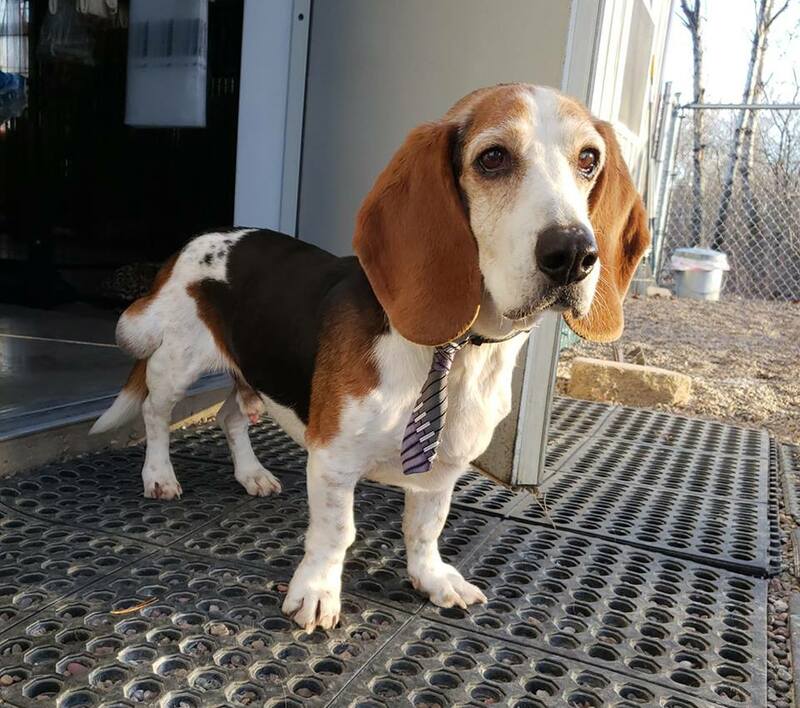 Ned is a very sweet and petite 10-12 year old Basset Hound. He loves being by people, getting pet, and walking around. We had a tumor removed from Ned’s hind leg and it was biopsied. The biopsy revealed a Spindle Cell Tumor. These tumors, we are told, do not usually metastasize (spread to other parts), but it could grow. The tumor couldn’t be totally removed, as the margins were bad, but in the future, if it got too big that it was a discomfort to Ned, there is an opportunity to surgically downsize it again. If it doesn’t make Ned uncomfortable, it could also just stay the way it is. Please email: bobshousenikki@gmail.com for an application to meet this sweet gentleman!